Step into a world where traditional hand crafts are cherished. 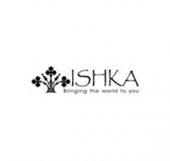 ISHKA offers an international selection of beautiful hand made clothing, jewellery, furniture, homewares and gifts. ISHKA was inspired by the vision of Michael Sklovsky, a local craftsman with a passionate belief that the sustainable and ethical international trade of handcrafted products would greatly empower and assist third world communities.